We are honored to present the 2018 Business Leadership Award to an upstanding, three-generation family-owned business that has partnered with us for over 40 years as both our landlord and a generous benefactor. 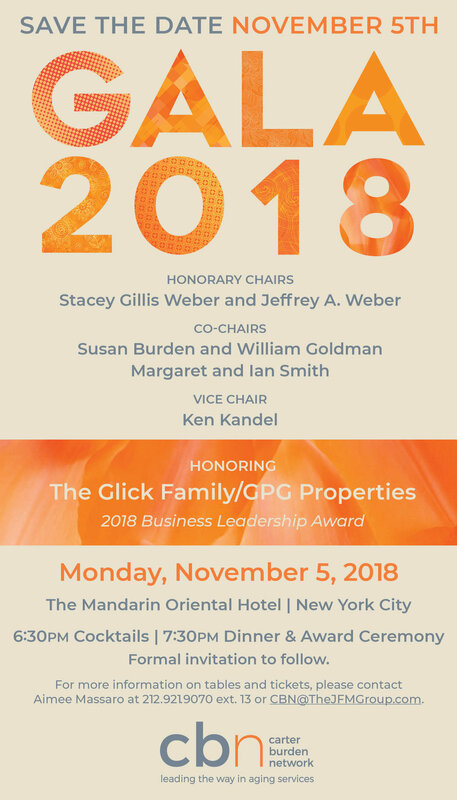 It is our distinct pleasure to announce the Glick Family and GPG Properties as this year’s Honoree for their steadfast support of our mission and for being a part of our caring community that enriches the lives of older New Yorkers. We hope you join us for this memorable evening.